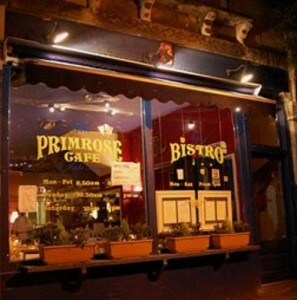 Exciting news from Clifton’s Primrose Cafe, who are now open for tapas every Tuesday to Friday from 6pm. The menu will change daily – based on which fresh local ingredients they can get hold of each day – but expect to see dishes such as Somerset lamb carpaccio with quince jelly, crispy skate cheeks in beer batter with lemon and parsley, and seared scallop on toast with salsa verde. In order to celebrate the launch of their tapas menu, Primrose Cafe will be holding a special Tapas Night on the evening of Tuesday, May 8th – an evening where they will be serving the tapas menu only from 6pm onwards. Guests can simply turn up from 6pm onwards to enjoy the new menu – or tickets for the evening are available to buy from the cafe. A £10 ticket will get you a glass of Manzanilla or Oloroso, along with 3 house tapas dishes – a 50% saving on the standard price. We expect that this evening will be busy, so get in there quickly to book your ticket if you’re keen!